Image courtesy of Technology Salon. Facebook announced in January that WhatsApp has more than 1.5 billion monthly active users—20% of the world’s population!—who send more than 60 billion messages every day. Of course, quickly messaging people via computing technology is not new. However, this communications medium could revolutionize the way we communicate with health workers and their clients. In India and Brazil, 80% of small businesses are already using WhatsApp to communicate with their customers. In Zimbabwe, WhatsApp alone was responsible for half of all internet traffic in the country last year. In Central and South America and South Africa, WhatsApp has erased the digital gender gap prevalent in almost every other digital tool. WhatsApp has six key differentiators that set it apart from SMS text messaging (the darling of digital development practitioners) and most other instant messaging tools. In our love of SMS, we have learned to count every character and celebrate when they can fit their message into a text. With WhatsApp, that constraint disappears. In its place, we can send voluminous text messages and enrich them with emoji, audio files, location data, and more. This richness means that communicating via WhatsApp requires a whole different approach—for example, we need to speak fluent emoji and can ask constituents to respond in their own voice—literally. WhatsApp is primarily a person-to-person communication tool, with anecdotal data pointing to family connections as the mainstay of the service. Without brands advertising on it (so far), a message on WhatsApp feels more trusted and valid than SMS text, especially as SMS is being abused by spammers. In addition, the much-touted end-to-end encryption means that neither WhatsApp nor governments can read message content. However, WhatsApp does have security concerns. Anyone with access to the phone can access WhatsApp since there is no login requirement. Unlike SMS, which has relatively high per-message costs, WhatsApp is very light on data usage, which is usually priced much lower per byte. WhatsApp also allows phone calls (international and local) at low data-usage rates, which are a fraction of international actual-phone call costs. In fact, with low-cost data bundles, such as $1 per month for unlimited WhatsApp usage in South Africa, it’s practically free. Mobile network operators are actively promoting these bundles to gain and maintain subscribers, which is speeding WhatsApp adoption. A single WhatsApp phone number can be used to connect people globally. This number portability means we can escape the pain of per-operator, per-country communications setup for projects, and we can run a country-specific or even a global program from anywhere—Washington, DC, or Timbuktu, Mali. The globality of a WhatsApp number came into sharp focus recently when Mercy Corps used WhatsApp numbers to uniquely identify, track, and communicate with Syrian (and other) refugees crossing from Southern to Northern Europe. They had no other unique ID that was common across the majority of refugees. Twenty percent of the world’s population now uses WhatsApp on a monthly basis. In multiple countries, WhatsApp is gender neutral, one of the few technologies to achieve this feat. And in places like Zimbabwe, it’s becoming the Internet itself. WhatsApp could be one of few digital tools that improves project sustainability. Its low price point means that the cash cost for a virtual community to live on after a project ends is practically zero. Since the infrastructure is provided by Facebook, we don’t need to worry about maintaining the system (so far). And its popularity means that people are adopting the tool without our assistance. Actually, we may need to catch up, just to stay relevant. Health workers are already forming their own WhatsApp peer-to-peer coaching, communities of practice, and support networks. How to Use WhatsApp in Programs? The first step to using WhatsApp in a health intervention is to confirm that a critical mass of program constituents are already using WhatsApp. This can be surprisingly high, even where smartphone usage does not seem particularly ubiquitous. In 2015, DAI found that 82% of marginalized youth in the poorest and most rural governorates of Jordan used WhatsApp on a regular basis, and WhatsApp usage has doubled globally since then. 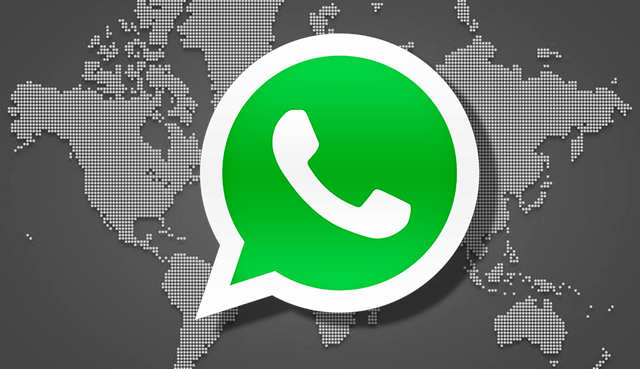 While WhatsApp itself is a new tool for international development, messaging systems are not. We already have mature community-of-practice worst practices and we know how to run peer-to-peer mentoring models online. We can apply them on WhatsApp today. In South Africa, USAID used WhatsApp to codesign educational campaigns for the dapivirine ring to reduce HIV infections. In Zambia, IntraHealth International used WhatsApp to help rural nurses and midwives connect with each other for support and mentoring day and night. In Brazil, doctors used WhatsApp to track Zika symptoms and discover its link to microcephaly birth defects. We do need to adjust to this new medium, and be prepared for a serious success challenge with WhatsApp. When we use SMS, we don’t expect too many replies, as each reply will cost our constituents money. However, given that WhatsApp messages are essentially free and that the medium is more personal and informal, we could be overwhelmed by replies. For example, when Praekelt.org’s MomConnect pilot on WhatsApp had garnered just over 1% adoption of the WhatsApp version of MomConnect, WhatsApp users produced over 50% of the traffic to the program, overwhelming Praekelt.org’s response system for their typical SMS campaigns. This a good problem to have, of course, as WhatsApp users are 6.7 times more likely to engage with MomConnect content than SMS subscribers, and once they engage with Praekelt.org, they are 3 times more likely to stay engaged, suggesting they are more likely to follow MomConnect guidance than SMS subscribers. If we want cheap, engaging platforms that will live on after our programs, we need to look beyond SMS and develop WhatsApp strategies in our development programs. A version of this post originally appeared on Technology Salon.